Simon is a Partner in the Finance group of Watson Farley & Williams, specialising in the maritime sector. Simon advises banks, other financiers, owners and other participants on all aspects of debt, leasing and structured finance; security; construction and conversion; sale and purchase; operational and corporate matters. He has assisted on a number of public placement transactions. He has also been involved in a number of high-profile restructuring, work-out and dispute resolution matters. Simon "has a wealth of experience and is also very approachable and friendly" (Chambers Asia-Pacific 2018 ), "has a good sense of finding mutually acceptable solutions" (Legal 500 Asia Pacific 2019 ) and is "very knowledgeable...combined with a commercial approach and effective transaction management skills" (Legal 500 2018 ). He has previously been "acknowledged in the market as a talented lawyer for his work advising on financing, contractual and corporate matters in the shipping sector" and clients value that he "takes the time to understand us as clients and grasps our commercial requirements" (Chambers Asia-Pacific 2016 ). 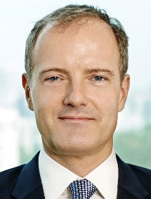 Simon is also Chairman of the Transport Logistics and Supply Chain Business Group Committee of the Singapore British Chamber of Commerce and is also an Ambassador for the Sailors' Society.